Since writing the last post I got something to eat and tried to take it easy a bit. That ended up in me falling asleep and not waking up till now. Since waking up I still feel exhausted. 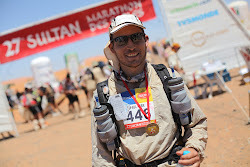 I think that is my body telling me that enough is enough for today and to leave the run till tomorrow. So the run will take place tomorrow, as will hot yoga once again. The rest of today's plan is to just take it easy. At least I know I will sleep well tonight. Sounds like the training is going well - up until Zzzzz day!! Keep us posted about the surgical spirit on your feet - I always wondered if that actually worked. Chris and I are tired after two sets of 2k rowing competitions within 2 weeks. I have just got 5 weeks left for the British / European Indoor Rowing Championships in Nottingham to look forward to. All the best with your training.